It must be hugely frustrating as an actor to have a single role for which you’re known and never be able to break out and separate yourself from that identity in the public consciousness. This is something Alan Tudyk certainly knows a thing or two about, and his upcoming crowd funded webseries, Con Man, pokes fun at this, as well as reunites him with his Firefly costar Nathan Fillion. Check out the trailer below. Though he’s appeared in tons of things, and been awesome in them—Tucker & Dale vs. Evil is a great one that springs to mind—Tudyk will forever be linked to the short-lived cult favorite sci-fi series Firefly, where he played Wash, the pilot of the spaceship Serenity. 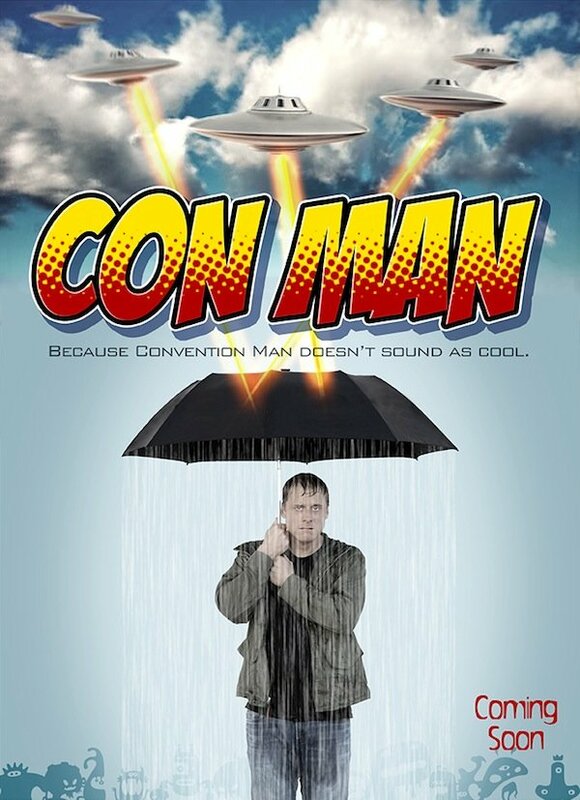 Con Man, because it sounds cooler than Convention Man, finds Tudyk playing a character in a very familiar position, as you can see in this trailer. His character, Wray Nerely, was an actor on a similarly short-lived, similarly beloved science fiction show, Spectrum, and not being able to score much in the way of fulfilling work, financially or spiritually or otherwise, he finds himself on an endless circuit of sci-fi, comic book, and pop culture conventions. To make matters worse, his costar, Jack Moore (Tudyk’s Firefly compatriot Nathan Fillion), has become a celebrated, certified A-list Hollywood star. Con Man reportedly draws inspiration from Tudyk’s real life experiences on this circuit, and as you can tell from this trailer, you see that he’s not only familiar with the subject matter, but he’s brought along a lot of fellow actors who have also experienced this. Not only do additional Firefly cast members Gina Torres and Sean Maher, who also plays a fictionalized version of himself, show up, but this four-minute video is a who’s who of actors closely associated with a single role. You’ll notice Wil Wheaton, Casper Van Dien, Michael Dorn, Tricia Helfer, Sean Astin, and tons more. Henry Rollins, Amy Acker, James Gunn, and even Firefly creator Joss Whedon show up. And there’s peeing, all manner of stereotypical convention types, and maybe even some jokes that will hit a little bit close to home for some of us. Developed, written, and directed by Alan Tudyk, Con Man staged a hugely successful crowd funding campaign. Within 24 hours, it collected more than $1 million, far north of the original $425,000 goal intended to produce three ten-minute episodes. Finishing their run at more than $3.1 million, Con Man will now consist of 12 episodes, plus a "lost" episode of the fictional Spectrum. From the footage in this trailer, that looks like it should be a damn fine time. Filming wrapped up at the end of last month, including some crowd scenes that were shot at an actual con. The first three episodes of Con Man will debut on September 30 on Vimeo, with three more installments following each week for the next three weeks.